Brecon-born actress Nia Roberts appears in the latest episode of the current series of Dr Who. The award-winning actress plays the character of Ambrose in the time-travelling drama, broadcast at 1815 BST on Saturday, 22 May on BBC One Wales. In this instalment of the 13-part series the Doctor, Amy and Rory arrive in a tiny Welsh mining village. They find themselves plunged into battle against a deadly danger from a bygone age. It is 2015 and the most ambitious drilling project in history has reached deeper beneath the Earth's crust than man has ever gone before - but now the ground itself is fighting back. The Hungry Earth is the first of a two-part story written by Chris Chibnall and features the return of The Silurians, who first appeared as the foe of the third Doctor, played by Jon Pertwee, in 1970. 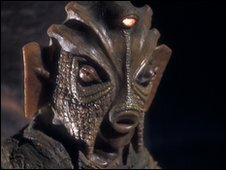 They re-appeared in the story, Warriors of The Deep, in 1984, when their plans were foiled by fifth Doctor, Peter Davison. The eleventh Doctor is played by Matt Smith and Amy Pond by Karen Gillan, Alun Raglan plays Mo and Robert Pugh plays Tony Mack. 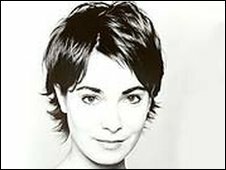 In 2009, Nia Roberts starred as Registrar Mary Finch in the BBC Wales drama, Crash!. Her other TV and film appearances include credits included: Fondue, Rhyw a Deinosors!, Dr Terribles House of Horrible, Border Café, Newes of the Weeke, Y Palmant Aur, Glan Hafren, Pobl y Cwm, Y Pris and Solomon a Gaenor.